From important forms to student organizations and career information, access all the candidate resources you need to succeed here. Our candidates are the most valuable asset at Orlean Beeson School of Education. We are committed to ensuring their success throughout their academic career and beyond. Below, you will find the resources you will need during your time at Orlean Beeson School of Education. We encourage you to call or email us if you have any questions or need assistance locating information. Orlean Beeson School of Education is home to the Kappa Delta Pi, international honor society in education, Zeta Theta chapter. 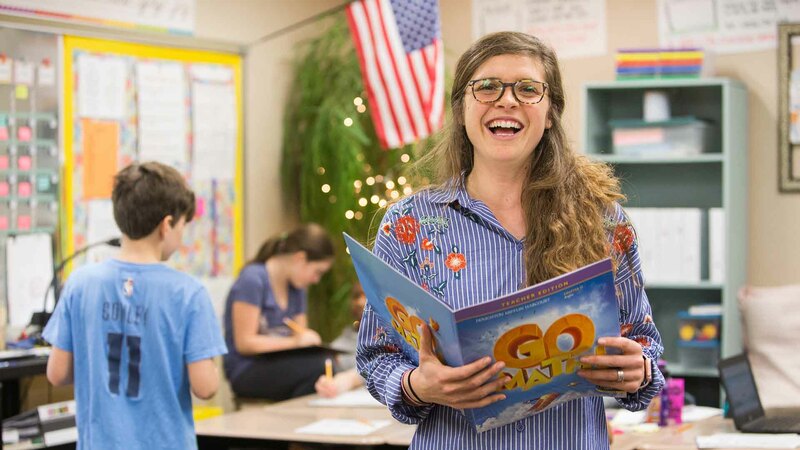 Each year, teacher education, curriculum and instruction, and educational leadership candidates who have completed at least 24 credits of collegiate course work, six of which are education courses, and maintained a grade point average of a 3.0 or higher are eligible for admission. The council provides an environment for candidates to collaborate with the school of education dean. This avenue allows candidates to share their perspectives about the school and departments. It also grants them the opportunity to offer suggestions for ways in which their learning environment can be enhanced. Candidates who serve on the council participate in events hosted by the school. It is an excellent opportunity for members to network and meet professionals in their field. ASCD is a global community of educators dedicated to excellence in learning, teaching and leading. The group's innovative solutions empower educators to promote the success of each child. Membership in Samford's student chapter is a valuable opportunity for candidates to connect with education professionals while transitioning into their own career in education. This organization provides an opportunity for students to discuss and exchange ideas on family-related professional development issues. Members experience professional development opportunities including a career expo with professionals in the field and complete community service events throughout the school year. This organization in an affiliate of the National Council on Family Relations and is open to all Samford University Human Development and Family Science majors. This leadership opportunity is for HDFE students interested in representing the Department of Human Development and Family Life Education. Delegates assist with the important task of recruiting new majors by serving as hosts for prospective students at recruitment events and any additional departmental events that may arise. The primary function of the CMTC is to provide current resources, media and services to Orlean Beeson School of Education students, faculty and staff as they design and utilize instructional materials. The CMTC also offers its services and resources to other campus and community organizations; however, priority is given to school of education patrons. The CMTC consists of four areas: instructional technology lab, open study/meeting area, education library and resource lab. Areas are also available for students to study, relax, work and preview materials. Scholarship grants for worthy students at Orlean Beeson School of Education at Samford University. Awarded to needy and worthy undergraduate students. Preference shall be given to students within the education school. Awarded to a student preparing for service in public education either as a teacher, counselor or administrator. Awarded to a student of financial need, within Orlean Beeson School of Education. Awarded to minority students of any classification who demonstrate significant financial need and are pursuing any degree offered within Orlean Beeson School of Education at Samford University. Awarded to incoming freshmen students who feel called to work within education and/or in work that enriches the lives of families; with preference given to those with demonstrated significant financial need. Awarded based on need by HDFE department. Awarded to undergraduate students preparing for a career in education with preference given to students from Madison and Limestone counties. Awarded to a student who is pursuing a vocational role in education and who has attained a junior class rank. Awarded to a student with demonstrated financial need and record of outstanding scholarship. Student must have plans to enter the teaching profession. Renewable for up to four academic years, pending a 3.0 GPA and good standing within the University. Awarded to students who are sophomores, juniors and/or seniors enrolled within the education school. Awarded to a deserving student(s) with preference given to those students pursuing a degree in Early Childhood Education. Awarded to rising juniors and/or rising seniors who are enrolled in a certification program for Teacher Education. Preference will be given to candidates with a high GPA, but should be chosen on both merit and financial need. It is preferable that the total available amount for award be divided between a male and female recipient. Annual scholarship to support School of Education students enrolled in the Teacher Education Curriculum to enable and provide resources for their participation in international internships in developing countries allowing them to work as teacher assistants/interns in schools that serve local (primarily underserved) children. Awarded to students pursuing a career in elementary education, with preference given to those who are passionate about teaching mathematics and science. Preference may also be given to those who demonstrate significant financial need. Awarded to a teacher education graduate candidate within Orlean Beeson School of Education with demonstrated financial need, letters of recommendation regarding pertinent information relative to character and should have completed two graduate courses. Awarded to a doctoral candidate within Orlean Beeson School of Education with demonstrated financial need, academic ability to succeed and commitment to completion of the doctoral program in Educational Leadership. The recipient should be a teacher or administrator who has demonstrated commitment to the profession, high moral character, and leadership abilities and is dedicated to a career in education. If a qualified candidate cannot be identified, the Dean has discretion to select a worthy candidate pursuing a graduate degree within Educational Leadership. Annual scholarship awarded to a nominated group of educators teaching within Catholic schools led by the Catholic Diocese of Birmingham.